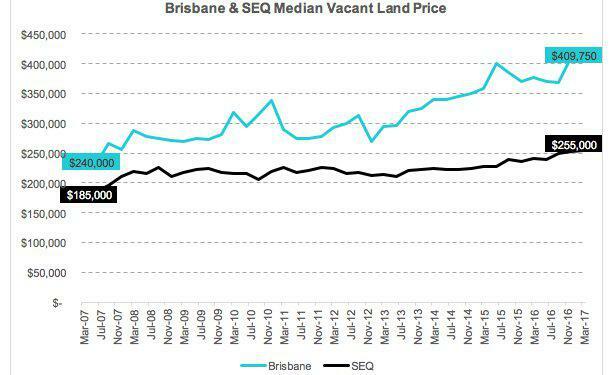 Research from property services group Oliver Hume shows the median price for land in the Brisbane local government area (LGA) increased 9% from $376,000 in the March quarter 2016 to $409,750 in the first quarter this year. The price per square metre increased more than 10% from $836 to $919 while the average block shrank from 450 sq m to 446 sq m.
Over the last 10 years’ median prices have grown 71% from March 2007 to March 2017, however, with the average lot size decreasing 26% during this period the price paid per sq m increased from $400/sq m in 2007 to $919/sq m in 2017. This means the average $/m2 has increased about 130% over the last 10 years. 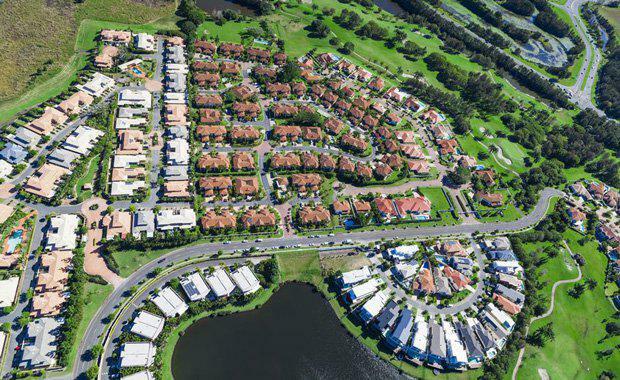 Property services group Oliver Hume has been appointed as the sales and marketing agent for approximately $400 million of new residential housing estates in South East Queensland, with land prices and demand continuing to rise across the region. The appointments cover approximately 1,750 lots at four different projects around south east Queensland at Collingwood Park, Logan Reserve, Chambers Flat and Deebing Heights. All projects are expected to come to market over the next 12 months. The new appointments take Oliver Hume’s Queensland pipeline of land to around 14,000 lots. “The announcement of the continuation of the first home owners grant combined with low interest rates and strong relative affordability compared to other states means demand for land is the strongest it has been for some time,” Keath said.